It has been built by MAN Gutehoffnungshütte Schienenverkehrstechnik AG (MAN GHH) which has been transferred from Maschinenfabrik Augsburg Nürnberg AG (MAN) in 1986. https://de.wikipedia.org/wiki/MAN#MAN_S ... hrstechnik. MAN GHH was sold to AEG in 1990 and renamed to AEG Schienenfahrzeuge Nahverkehr & Wagen GmbH (AEG) on 01.07.1993. Meanwhile, another four prototypes were built: 3 GT6N for München [Munich] in 1990/91 and 1 GT6M [meter gauge] for Augsburg in 1992. In Munich these cars were classified as R1.1. So far we have 4 MAN GHH GT6N and 1 MAN GHH GT6M. In May 1993, the first of twelve GT6M for Zwickau has been delivered. The other 11 cars were delivered after 01.07.1993.
discussion point: Strictly speaking Zwickau received 1 MAN GHH GT6M and 11 AEG GT6M. Technically, it is one series, and even before the renaming into AEG Schienenfahrzeuge Nahverkehr & Wagen GmbH already belonged to AEG. So Zwickau should have received 12 AEG GT6M. With that in mind, the prototypes for Munich and Augsburg are AEG GT6N and AEG GT6M as well! In July 1993, the 78 piece AEG GT8N series delivery for Bremen began. 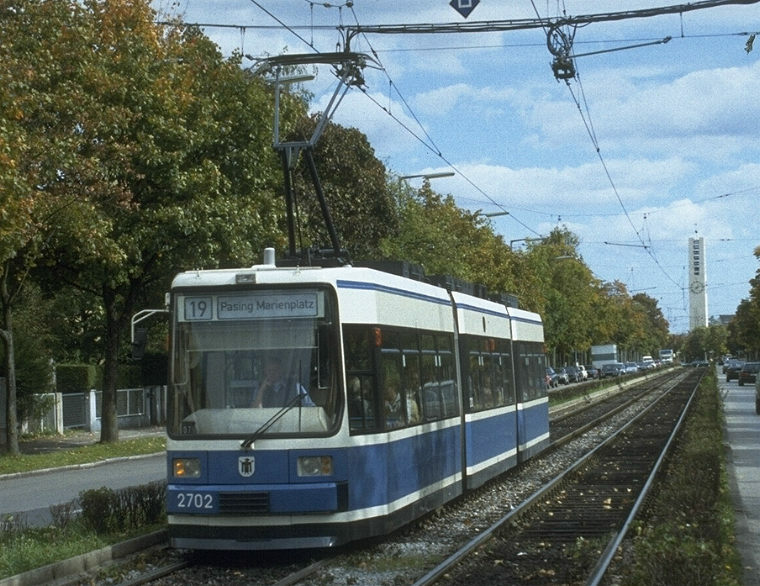 In 1994 the AEG GT6N series delivery for Berlin and Munich began. In Munich these cars were classified as R2.2. In 1995 Braunschweig received 12 AEG GT6S. In 1995 the AEG GT6N series delivery for Nürnberg [Nuremberg] began. In December 1995 the first of ten GT6M-ZR for Jena has been delivered. The other 9 cars were delivered in 1996. In 1996 Mainz received 16 ADtranz GT6M-ZR and the GT6M-ZR series delivery for Jena continued as ADtranz GT6M-ZR. The GT8N series delivery for Bremen continued as ADtranz GT8N. The GT6N series delivery for Berlin, Munich and Nuremberg continued as ADtranz GT6N. 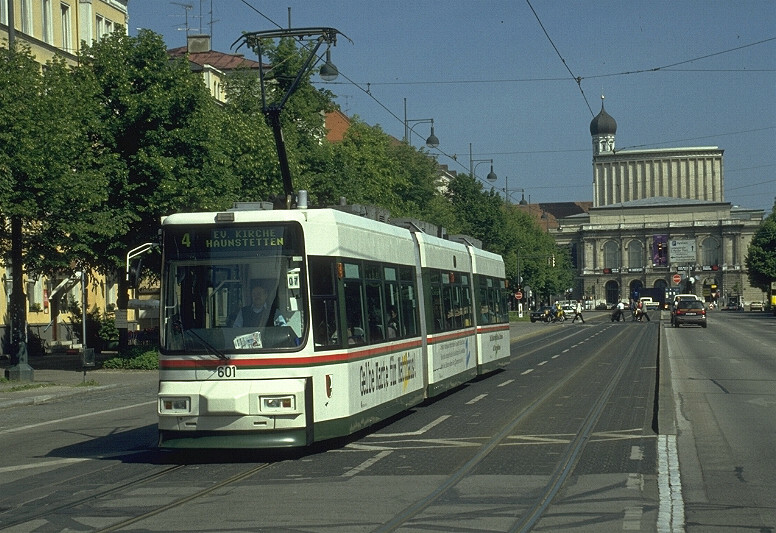 Between 1998 and 2000 Nuremberg received 26 ADtranz GT8N2. In 1999 the ADtranz GT8N2 series delivery for Munich began. In Munich these cars were classified as R3.3. In 1999 the ADtranz GT6N-ZR series delivery for Berlin began. The GT6N-ZR series delivery for Berlin continued as Bombardier GT6N-ZR. Can the Database Admin please make the following Manufacturer of each type a sub type of the first produced one? Currently there is something messed up with the ADtranz GT6S in Braunschweig. 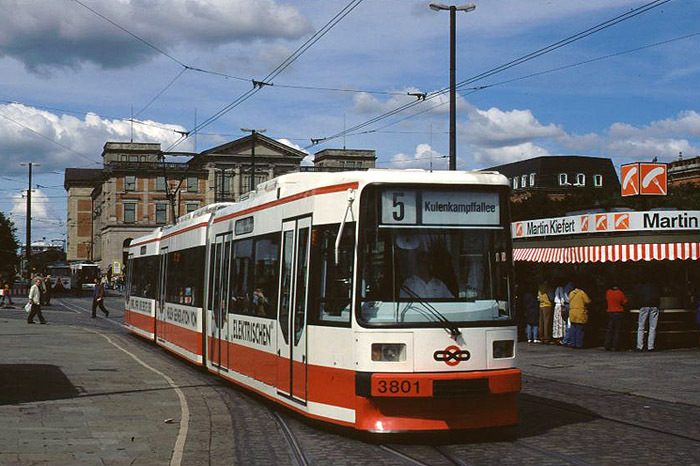 LHB GT6 Typ “Braunschweig” is not a subtype of the GT6S. Последний раз редактировалось Christian Maibaum 26 сен 2016, 11:09, всего редактировалось 1 раз. I've added all mentioned models and deleted others as requested. Unfortunately, it's not possible to make cross-factory lists as MAN, AEG, ADtranz and Bombardier are considered as different manufacturers from the database side. how should we deal with it in the database, when a model receives in a city a different label than the manufacturer used? Bombardier Flexity Outlook is called "Bombardier T3000"
Bombardier Flexity Outlook is called "Bombardier T4000"
Bombardier Flexity Classic is called "S"
ADtranz GT8N2 is called "R3.3"
The new "Bombardier FLEXTITY Berlin" was designated by the manufacturer as "F6E / F6Z / F8E / F8Z"
The BVG just calls them "BVG GT6-08" and "BVG GT8-08". In the database, both terms were used, but I would not recommend that for models that are used in other cities as well. The BVG changed some equipment and gave their tramcars a new # and new designation, but is a new # the same as a modernisation? In case of the GT6N-ZR only a new on board computer was installed to chance from analog radio to digital radio. As it is not possible to couple a train consisting of two different radio systems, the change of the radio system resulted in a change of the vehicle id +200, with new Cegelec controls +500 (example: 1006 -> 1506 / 2001 -> 2201). As not all GT6N will get new Cegelec controls there will be "BVG GT6o" in the near future as well (example: 1001 -> 1201). I would recommend to skip the BVG designations in the Database, as the BVG neither was nor is the manufacturer of a tramcar. If it is for some reason necessary to have the new designations like "GT6U", "GT6Zo" or "GT6o" in the Database, then please in connection with the original manufacturer. All the "Tatra KT4D" trams which have been modernized by various companies are just called "Tatra KT4DM" regardless of which company carried out the modernisation or which firm built the controls! Could they be done as a subtype of the Manufacturer? I think we can skip or add as submodel like AEG GT6N (BVG GT6-94). However, manufacturer type should be the main (and maybe the only) for model naming.